So many people help make a book launch. The writer, of course. But she relies on so many friends, students, colleagues and, needless to say, family members. First up: the incandescent Sarah McSweeney, singer extraordinaire! Sarah McSweeney. She is a gorgeous singer: so moving and lyrical. Thank you, Sarah! 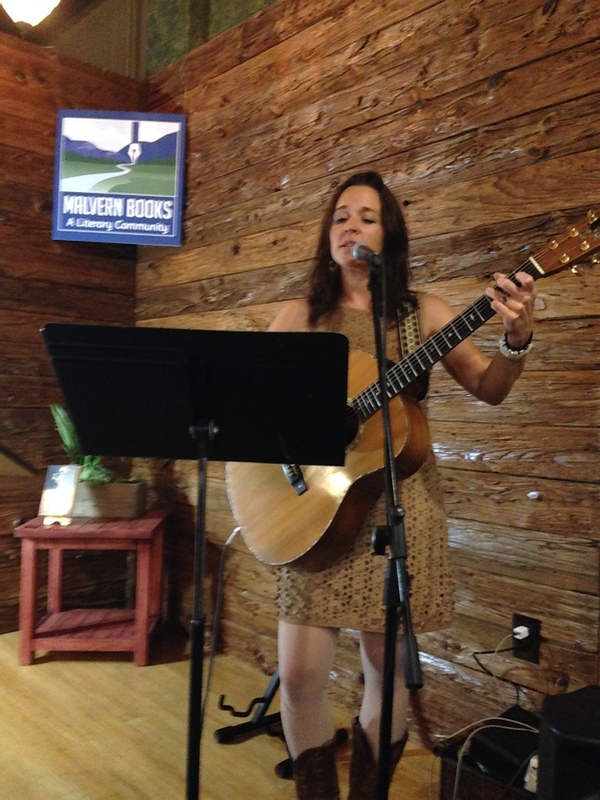 See her website for more information and to hear one of her songs. 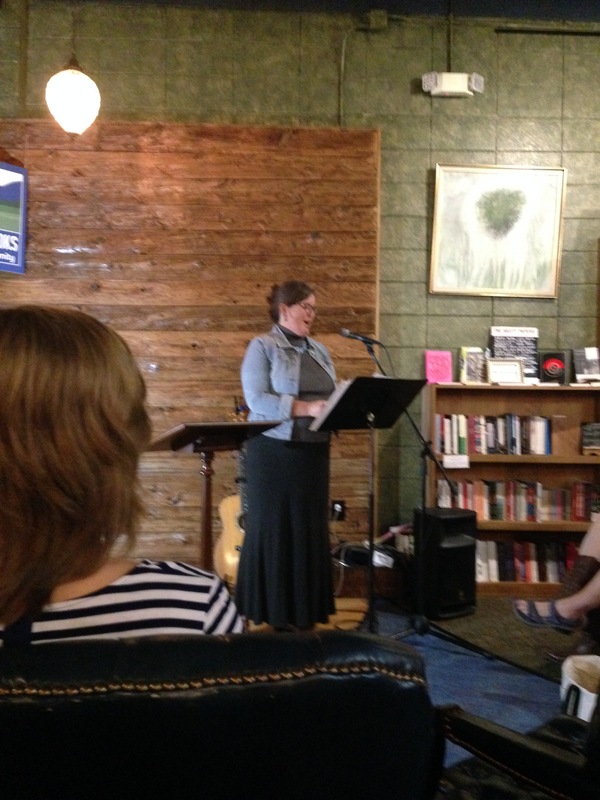 She even put one of my poems to music and had the entire audience mesmerized, with tears in their eyes. Rendering a female slave’s poignant wishes as a musical piece, piercing the night with her clear, lucid voice, Sarah invited us into a space of magic and somber eloquence. Once the recorded event is available, I will share her song with you. Then there’s my dear friend, Laura Sajbel, who agreed to introduce me. Laura Cottam Sajbel: so warm and inviting. Everyone wants to enter her meadhall for entertainment! Read about her books here. 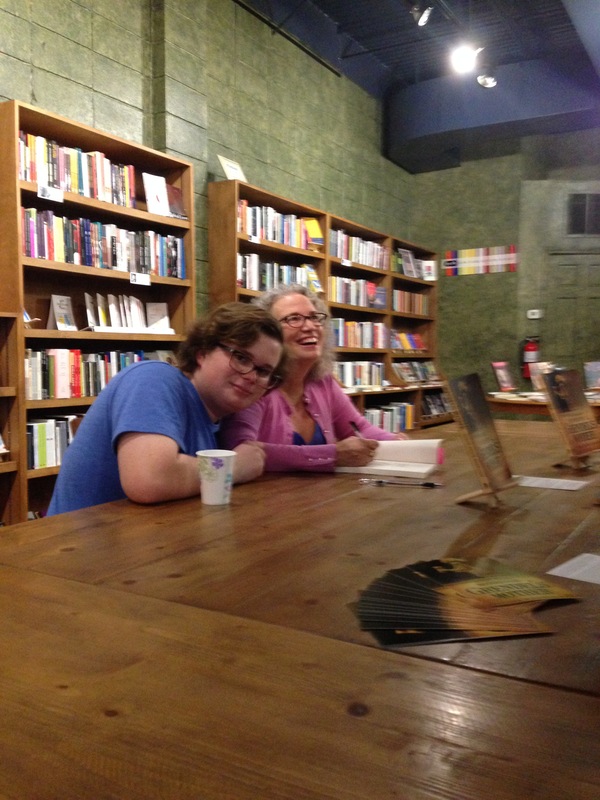 I knew she was the ideal choice–warm, friendly, and utterly savvy about the Austin book scene. Laura certainly delivered–even having us all chuckling (of course, any mention of Chaucer’s Fecopoetics usually knocks them dead!). And she is a fellow “Wyrd-Wife” in my neighborhood. Maybe we need to make a Wyrd-Wife club. I even got her a weird plant in thanks. This does look weird, doesn’t it? 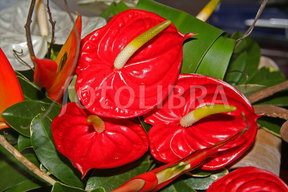 Anthurium. Weird plant. It’s also called “Lace Leaf.” Alliteration! Is that a coincidence? I think not! We cannot forget the bookstore, Malvern Books. It’s an amazing place, with curated books from around the world. If you want to find world literature translated into English in aesthetically tactile editions, this is the place for you. Also, they feature local authors, poetry, and a super noir collection. Please support them! 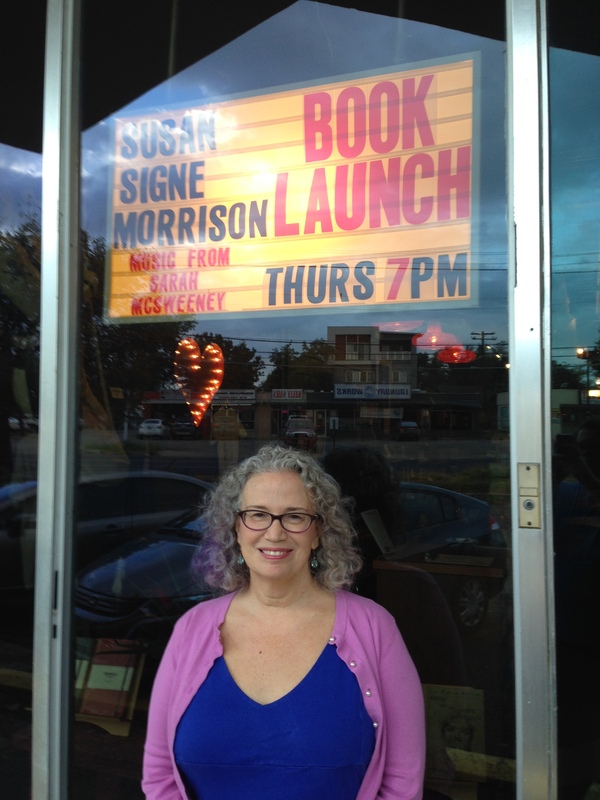 Here I am standing outside Malvern Books before the event. I really enjoyed the reading. Part prose, part poetry, part participation with the public (see all the alliteration? ), I had a blast. Fortunately, the audience seemed to also! Using my hands when speaking. All pictures by my husband, Jim Kilfoyle. Engaging with the audience. Photos feature the back of my darling student’s head–Shelby Armstrong–who strong-armed us into having a beer after the event! Of course, I want to thank my husband, Jim, and son, John, who carried books and “had” to drink some ale (or, in John’s case, Scylding Soda and Scop Coke) in a local meadhall after the event. They are always long-suffering. John hamming it up. He was supposed to read half of John Gardner’s Grendel that night for his English class. Instead, poor John had to go drink a Coke with his parents and friends. Sorry, John! And to all the friends, students (!!! ), and colleagues who came: Thank you all! With former student John Fry and friends/neighbors Laura Sajbel, and Vivian Ballard. With my wonderful Religious Studies colleague, Rebecca Raphael.